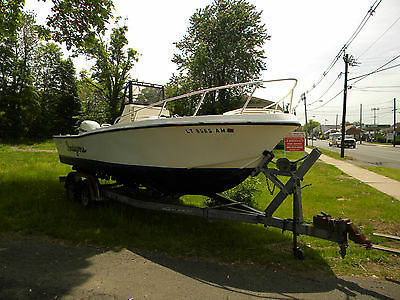 1992 Mako 241, (24 ft). Classic Deep V Hull. Very Good condition (previous owner was a captain). Trailer included. Always winterized & stored inside during winter months. 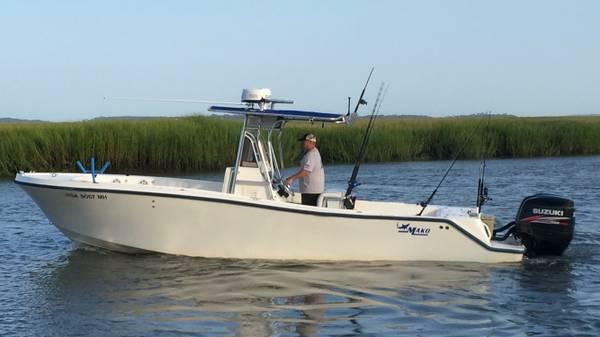 Twin 1998 Mercury 200 EFI Offshore Series engines (new fuel & water filters). Stainless steel performance props. Starboard engine has only 3 hours (Totally rebuilt). Power head on Portside engine needs to be replaced (Est. $2,500 to replace). T-Top w Furuno electronics, GPS, fish finder, and Stereo System. Fillet Table & propane cooking grille (both brand new). Dock ropes, 300' of anchor rope, 2 anchors, etc. 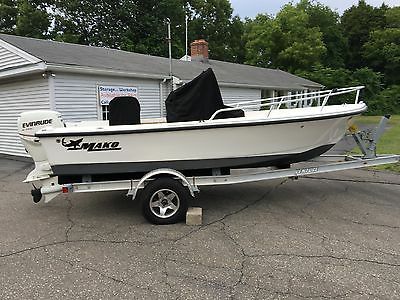 2008 Mako 171 w/Etec 90 Evinrude. Aluminum trailer with disc brakes. This boat is in like new condition. 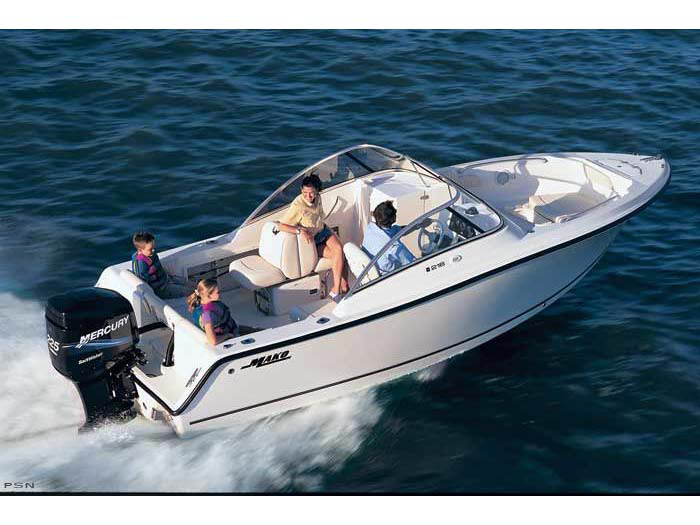 It is equipped with a Raymarine A65 Color GPS chart plotter, VHF, Stereo, wash down, covers for the console and seat. Truly great shape. $14000. 203-530-5201. 1991 Mako 221 Center Console 05 Evinrude ETEC 225 hp 25" 0nly 104 Hours! 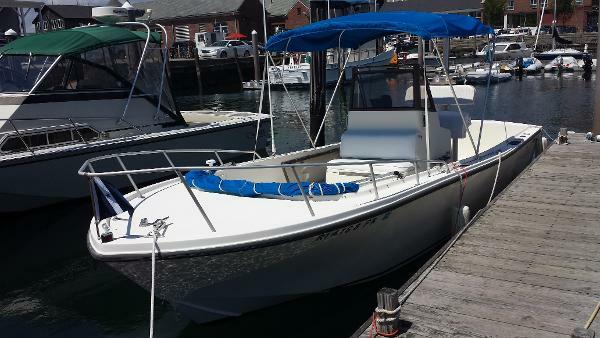 1991 Mako 221 Center Console with 2005 Evinrude ETEC 225 hp 25"shaft, Stainless prop with only 104 hours! This auction is for the boat & motor. All electronics in the boat work perfect. Nav lights, cockpit lights, dash gauges, compass, bilge pump, batteries, all work great at this time. Brand new pair of Wise pedestal seats, fresh bottom paint, bimini top. 1 hatch in bow & 1 in rear small hatch missing. Has front seat cushions & 2 of the 3 front bow cushions. We are selling this package complete. NO trailer with this sale. We do have the one in the picture available to purchase. We also have the 2005 Evinrude 225 hp for sale on separate auction. 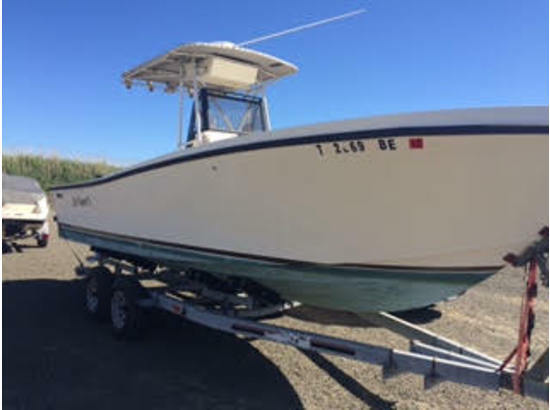 Check out the video and more pics here https://picasaweb.google.com/Affmarine/1991Mako221CenterConsole05EvinrudeETEC225Hp104Hours12500?authuser=0&feat=directlink Come see it in person Affordable Marine86 East Main StPlainville Ct 06062 860-747-BOAT ***Please check out all our auctions*** Increase sales. Improve feedback. Get Buyer Appreciation, FREE from Vendio!